City Council was on recess for the month of October. Council passed Ordinance 18-103 to accept the bid for the City Green electrical upgrades. Council passed Ordinance 18-99 placing a moratorium on the operation of any short term real estate rentals in the City of North Royalton. Council Passed Ordinance 18-110 to amend the City’s Solicitors, Peddlers, and Canvassers ordinance. Recently by a 4-3 vote City Council approved Ordinance 18-99 a moratorium on short-term home rentals, such as those through websites such as Airbnb. I voted against the moratorium. I am not a fan of moratoriums in general. Temporarily banning things is not the best public policy. As I see it, we are either making a law or we are not. The regular legislative process city council has in place is a much better way to go. We can research and debate this issue through our committee meetings. Although I voted against the moratorium I am already working with the City’s Law Department regarding how to regulate short-term rental with some some basic regulations to protect public safety and prevent blight in our community, while still also respecting property-owner rights, too. Read More. Also recently I Co-Sponsored Ordinance 18-110 with Ward 6 Councilman Dan Kasaris to better strengthen and clarify our City’s Solicitors, Peddlers, and Canvassers Ordinance. The Amendments passed by a 6-1 vote of City Council. I appreciate working with the rest of council to strengthen our solicitors ordinance to help better protect our residents, while supporting positive community groups and individuals that do legitimately go door to door in a safe manner. My ordinance is based off of complaints that have grown since 2013 about solicitors violating our city’s ordinance and even some curb painting scams that happen at times each summer. Those who fail to comply by obtaining a permit could now be guilty of a fourth-degree misdemeanor, rather than a minor misdemeanor as before, for the first offense. For each additional offense, the penalty moves up a degree. As a fourth-degree misdemeanor, a violator could be exposed to a fine of up to $250 and a potential 30 days in jail, per the judge’s discretion. The penalty is now in line with neighboring communities such as Parma and Strongsville. Also administratively in working with the Police Department they will advise solicitors they have to register with the building department if they are a contractor by listing a notice on the City’s Soliciting Permit that can be obtain at the Police Station. Some may have been unaware this was a necessary step in the past such as curb painters who are required by City Ordinance to also register with the City Building Department before doing any kind of work in the City. Read More. As always if you see something suspicious or have an issue with a Solicitor please contact the Police Department at 440-237-8686. Also if you have solicitors putting flyers into mailboxes please let me know at ward3@northroyalton.org and I can report it to the US Postal Service. If your interested in being on the City’s Do Not Knock List then please Click Here. Work has begun on the widening of Royalton Road from W. 130th Street to York Road as of this morning. Placement of temporary pavement on the north side of the road is being performed to allow for the creation of two (2) ten foot (10′) wide lanes in this area to allow for widening on the south side of the road. The large storm culvert just east of Olesia’s Place will be worked on first, so most of the construction activity will be in that area to allow for this construction. Work will also begin on the storm sewer system and the water main to be replaced during the month of November 2018. Please use caution while driving along Royalton Road and expect delays at times. This is a major roadway improvement project, so please be patient while the traffic patterns are shifted to maintain 2-way traffic along the corridor. Please follow the posted detour along Royalton Road. Any questions regarding the construction of this project should be addressed to Cuyahoga County at their field office in North Royalton at 440-628-9229. The McDonald’s on Royalton Road will be renovating its exterior and interior next year. The plans include new self-ordering kiosks inside and facade changes, including a new roof design and more earthy colors, outside. The square footage of the restaurant won’t change. Construction is scheduled to start in March 2019. Read More. Two new restaurants have opened up in the city. At 13570 Ridge Road is the Kavana Social Kitchen and at 7375 Royalton Rd The Hidden Backyard. Read More. Beginning in the Spring of 2019 the North Royalton Cemetery will get some upgrades with the installation of an arched entryway. The archway will consist of two sets of pillars, one on each side of the main entryway, with fencing between each set. The archway will have a wrought iron appearance with the words North Royalton Cemetery to be identify it and incorporate a Western Reserve style of design too. Read More. Upgrades to the City Green will begin some time this winter with the replacement of the marquee sign with an electronic LED sign and electrical and energy-saving enhancements in the spring of 2019 to the City Green. Read More. The City has recently applied for additional funding for sidewalks through the Northeast Ohio Areawide Coordinating Agency’s Transportation for Livable Community Initiative seeking a grant funds to install a sidewalk from the Memorial Park driveway on State Road south to Akins Road. Also the City has applied for another grant for a sidewalk to extend from Akins Road south on State Road to the Valley Parkway to tie into the Cleveland Metroparks’ new all-purpose trail. This would help connect the town center including the City Green, Memorial Park, the high school and the middle school to the all-purpose trail. Read More. On October 9th it was great attending the Route 82 Widening Project Meeting and getting an update from Cuyahoga County & DiGioia Suburban Excavating on this project that spans along Route 82 from W 130th Street to York Rd. Tentative completion date of June 2021. Great to see this project moving along and will be a positive benefit for North Royalton & Ward 3! Read More. 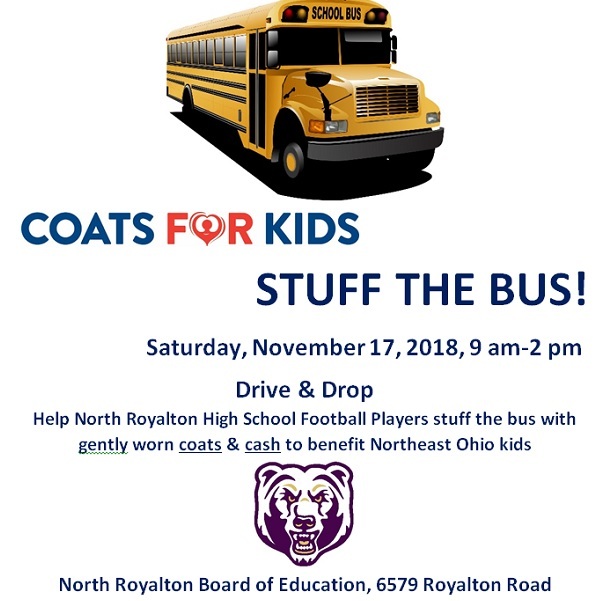 The North Royalton High School Bears Football team have WON again against the Brecksville-Broadview Heights Bees Football team on October 12th and the Golden Shoe stays in North Royalton! 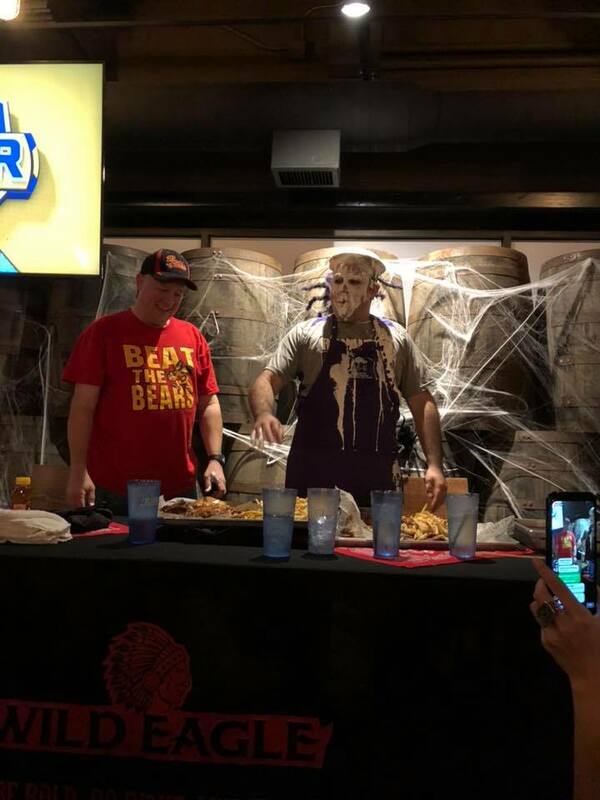 It’s also great to be a winner of the Annual Bet for Charity with my friend Ward 2 Broadview Heights City Councilman Brian Wolf! It was great to support the North Royalton Athletic Boosters as my charity of choice this year. Special thanks to both Brian and Wild Eagle Steak & Saloon for making matching donations of $100 to the Athletic Boosters. Read More about our Annual Bet. 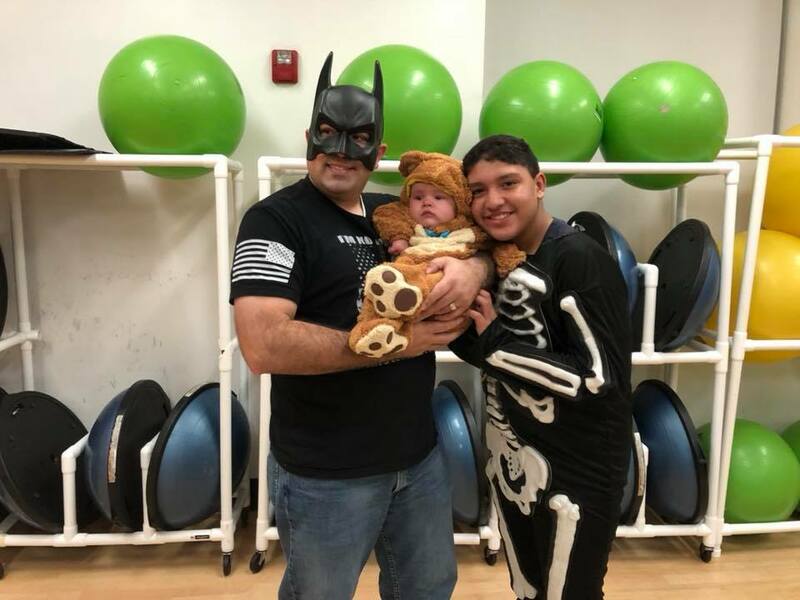 On October 19th my boys and I had a fun time at Halloween at the Y at the North Royalton Family YMCA! Thank you to the YMCA for all the great things they do for our community! On October 22nd it was great to attend the ribbon cutting ceremony for the new Valley Parkway Connection Trail. This project now connects 33 miles from Scenic Park in Rocky River Reservation south through Mill Stream Run and east to Brecksville reservation. 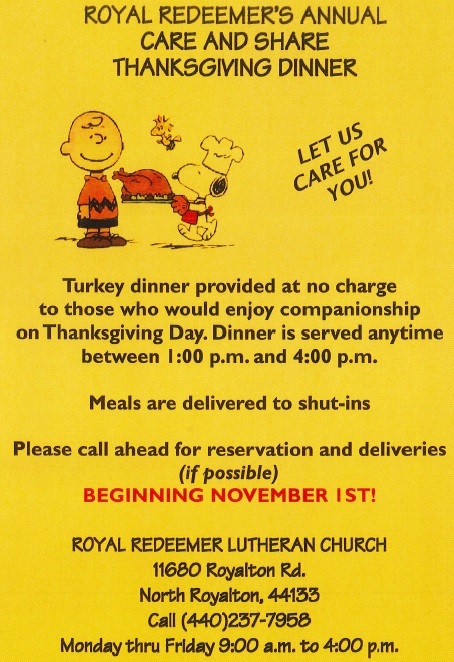 This is such a great addition for residents here in North Royalton! I look forward to finding more ways to better connect our city like this! 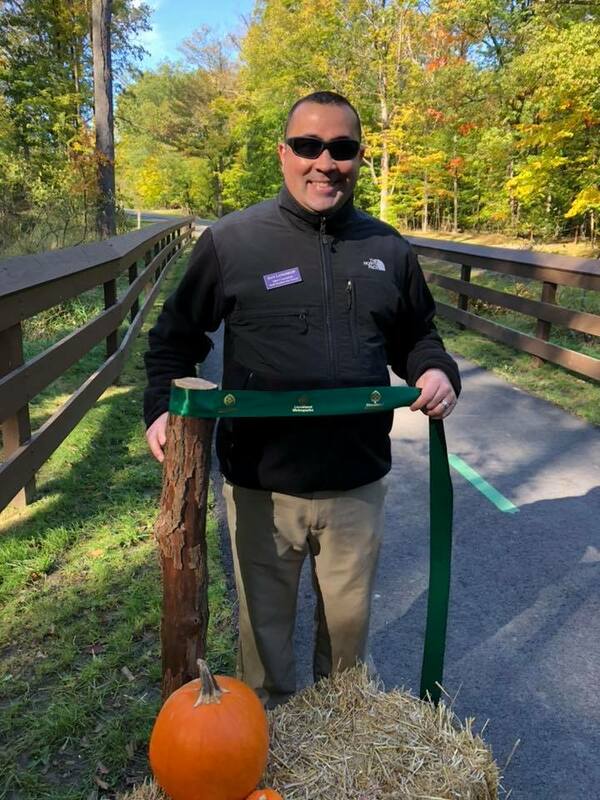 Special thanks to the Cleveland Metro Parks, City of Brecksville, City of Broadview Heights, Northeast Ohio Coordinating Agency, and all the others who made this project possible! Read More. 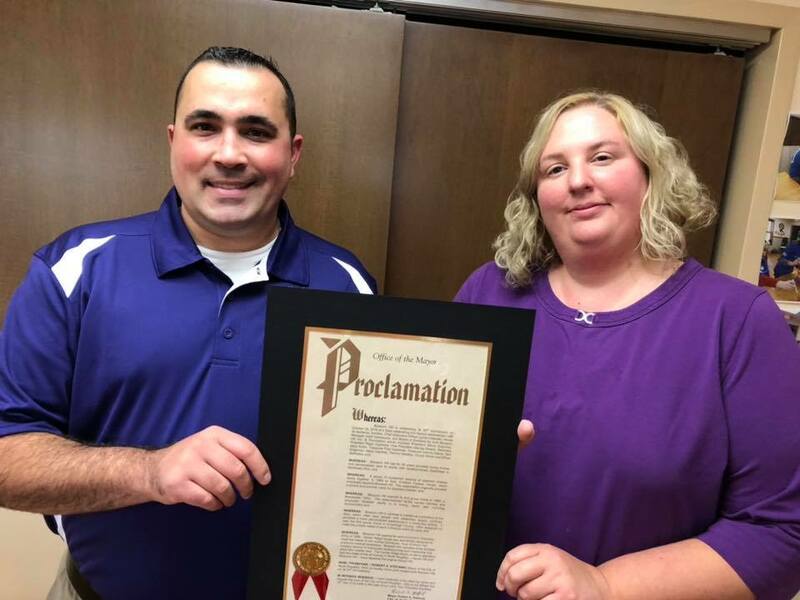 October 23rd it was great to present Blossom Hill House Manager Anjill Calozzum with a Proclamation from Mayor Bob Stefanik on the behalf of the City of North Royalton to honor Blossom Hill’s 50th Anniversary for providing exceptional care to individuals with developmental disabilities in Northeast Ohio since 1968! Congrats to them and I am so happy that they call North Royalton Ward 3 home! On October 27th it was exciting to be part of the North Royalton Bicentennial Time Capsule Ceremony. It was very special to put an item from my family into the time capsule! I look forward to when it is opened in 50 years on October 27, 2068. I will be 83 years old. My sons Derek will be 50 and Henry will be 61 years old. Read More. On October 24th attended Mayor Stefanik’s Fall Business Breakfast at Carrie Cerino’s Ristorante! Special thanks to North Royalton Ward 3 Business ABC Fire Inc for being the sponsor of the breakfast! Elect to recycle! 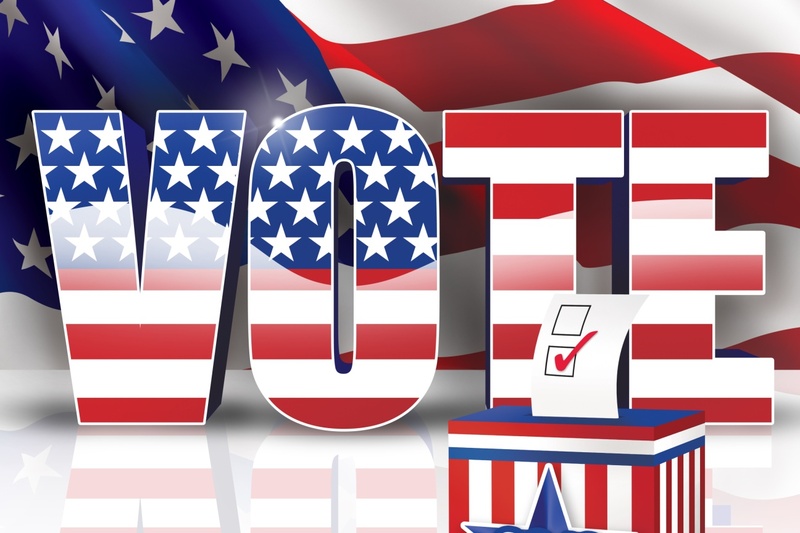 Following an election, recycle unwanted campaign yard signs – plastic film, corrugated plastic and cardboard signs plus the metal stands – at the Cuyahoga County Solid Waste District, 4750 East 131st Street in Garfield Heights. A drop box is in the lobby. Hours are Monday-Friday from 8:30-4:30. Materials are recycled by Northcoast Recycling Specialists in Wickliffe. The District has been collecting campaign signs since the 2012 general election. Learn more about recycling in Cuyahoga County. City Council Streets, Storm Water, Review & Oversight, & Utilities Committee Meetings November 7th at 6:00pm at City Hall. Click Here to view agendas. City Council Meeting November 7th immediately following the Committee Meetings but no sooner than 7:00pm at City Hall. Click Here to view agenda. The Royalton Hills Lions Club is holding an Open House to invite members of our community to join our club. 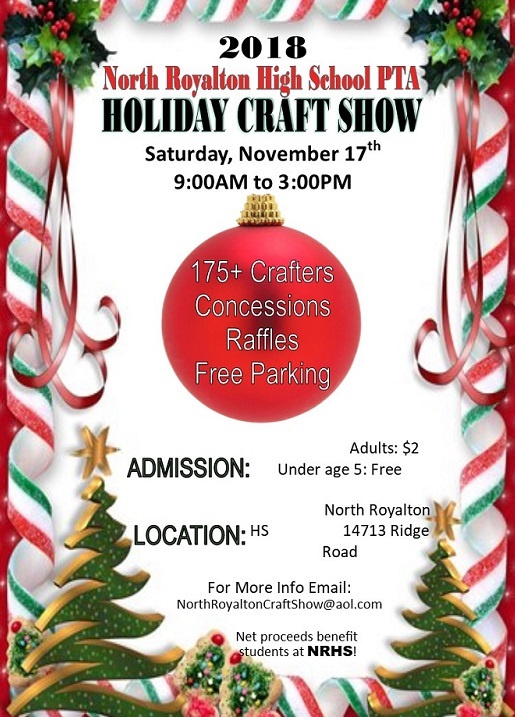 The Open House will be held November 12 at 7 pm at the North Royalton Library. Please join them for refreshments and to learn what their club has to offer and how you can give back to the community. At the open house they will be collecting items for our Military Box Project (assembly is November 17). Items can include single serving snack foods, single use personal care products, etc. 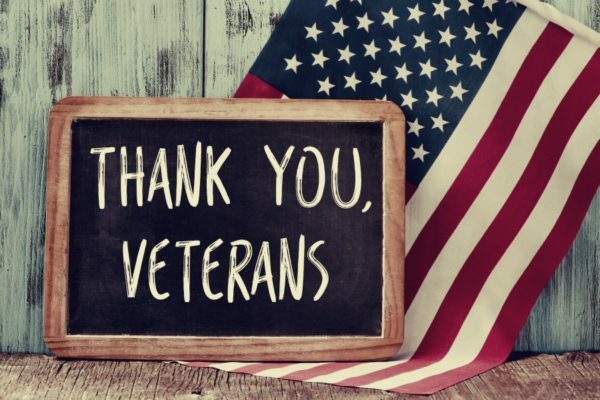 November 17th at the North Royalton Library at 10 am Lions will be assembling boxes to send to the Military. They will be accepting single use snack foods. Some items could be powdered drink mixes, single serve snacks, hard candy (peppermint candies), gum, travel size personal care products, holiday decorations, personal notes, etc. City Council Finance, Safety, Building & Building Codes, and Special Review & Oversight Committee Meetings November 20th at 6:00pm at City Hall. Click Here to view agendas. City Council Meeting November 20th immediately following the Committee Meetings but no sooner than 7:00pm at City Hall. Click Here to view agenda.